This Christmas, focus on the birth of Jesus. 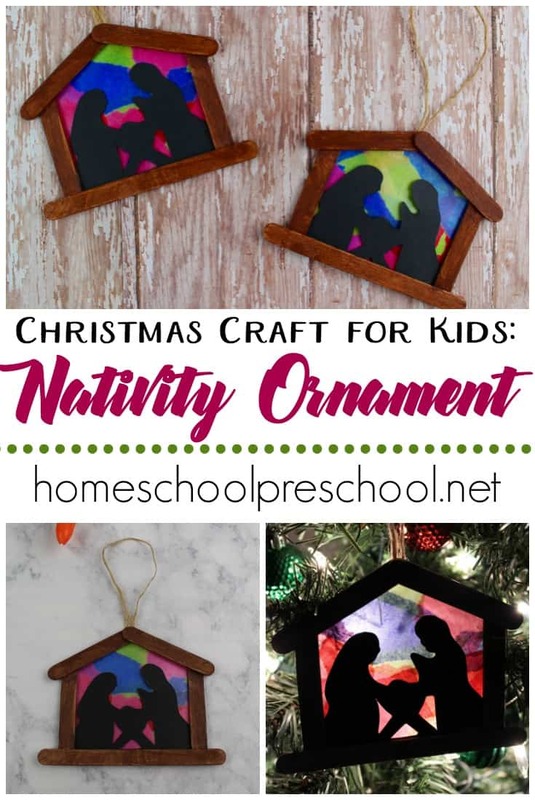 This simple preschool nativity craft will give you an opportunity to review the Christmas story with your little ones. 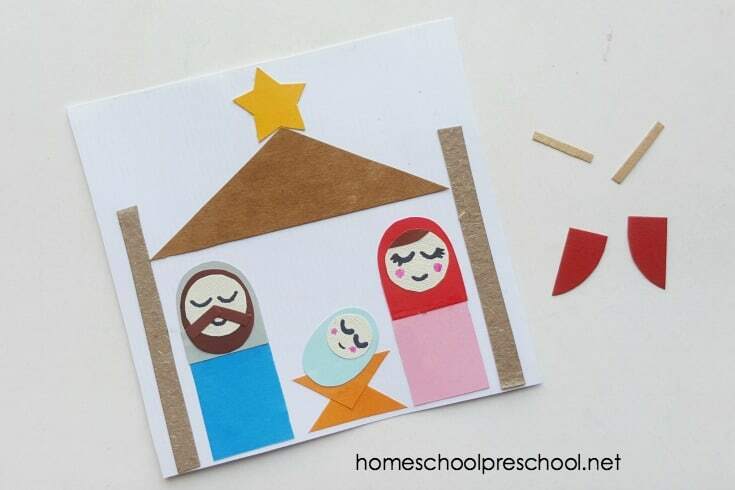 Read the Christmas story to your preschoolers, and then let them assemble this nativity craft. It’s the perfect addition to your Christmas activities and will help you have a more Christ-centered Christmas. 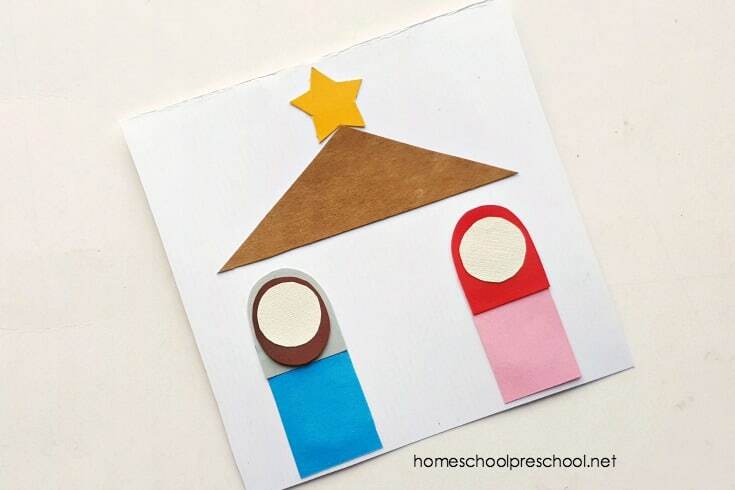 Not only is this preschool nativity craft easy to assemble, it provides a great opportunity for you to talk about shapes with your preschoolers. And, if you give them an opportunity to do some of the tracing and cutting, they’ll build up their fine motor skills. You’ve most likely already got all the supplies you’ll need to assemble this craft. If not, you can order them from Amazon by clicking the links or images below. There’s nothing better than having craft supplies delivered right to the door! 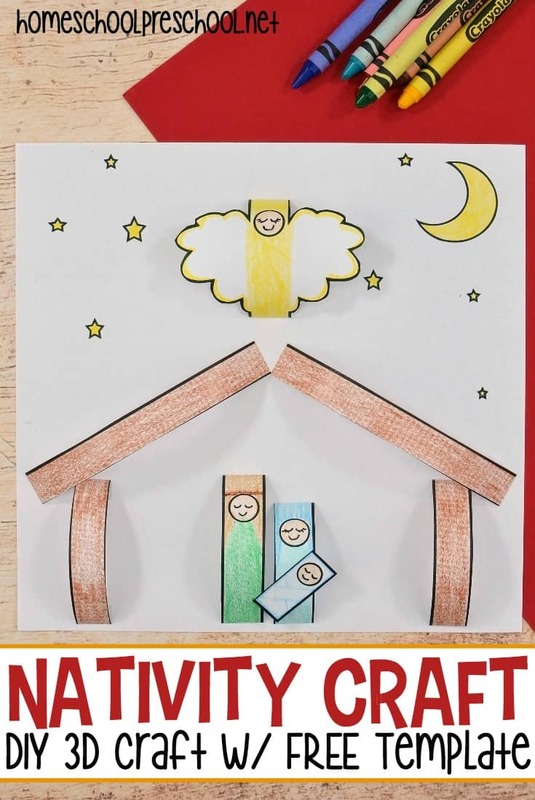 Select your colored craft papers for the nativity shape craft. 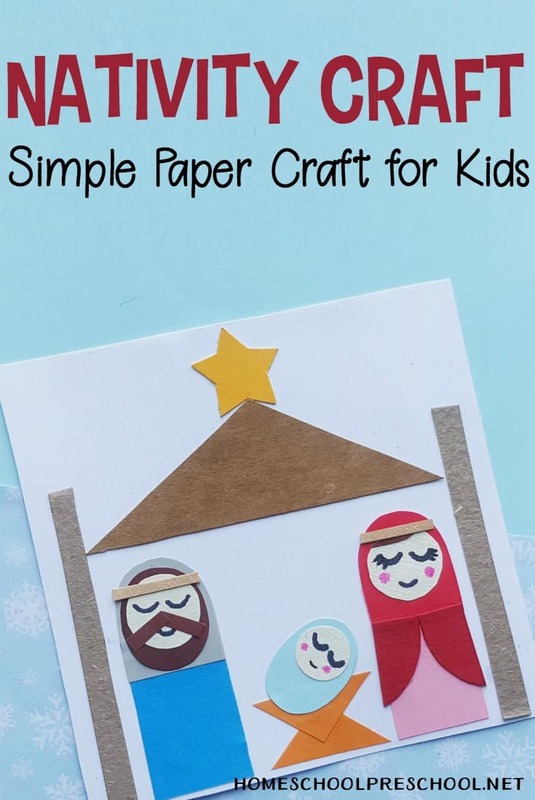 Print out the template, trace the shapes on your craft paper, and cut them out. 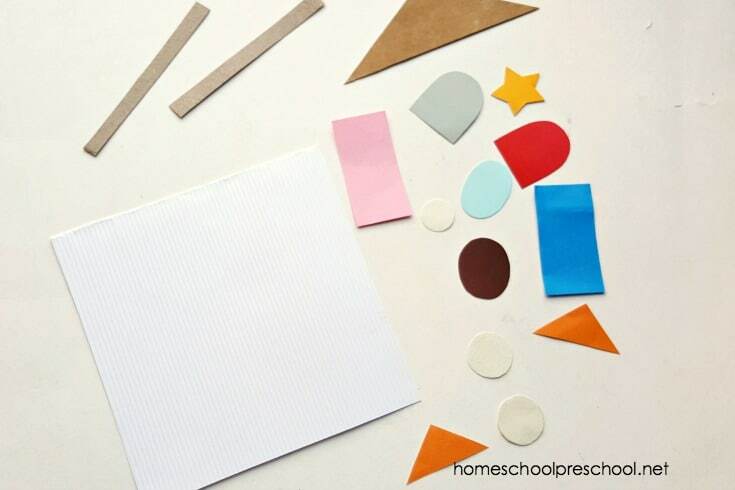 As I mentioned above, allowing your preschooler to trace some of the shapes or cut them out will help them build fine motor muscles. 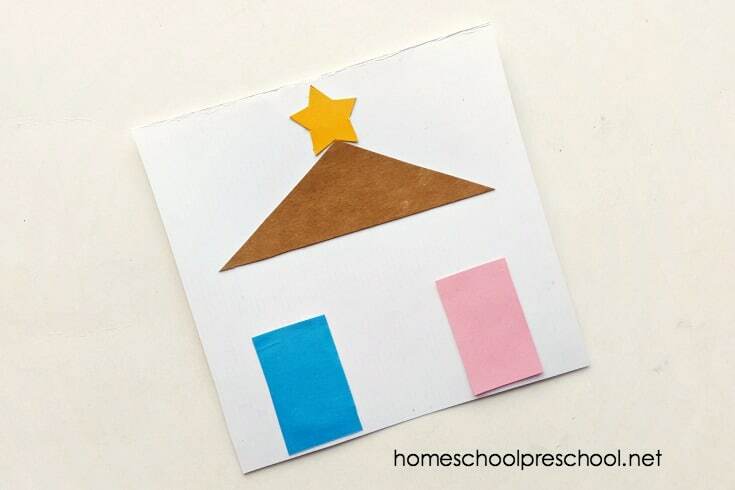 This is also a great time to introduce or review the shapes in this craft – triangle, star, oval, circle, rectangle, etc. 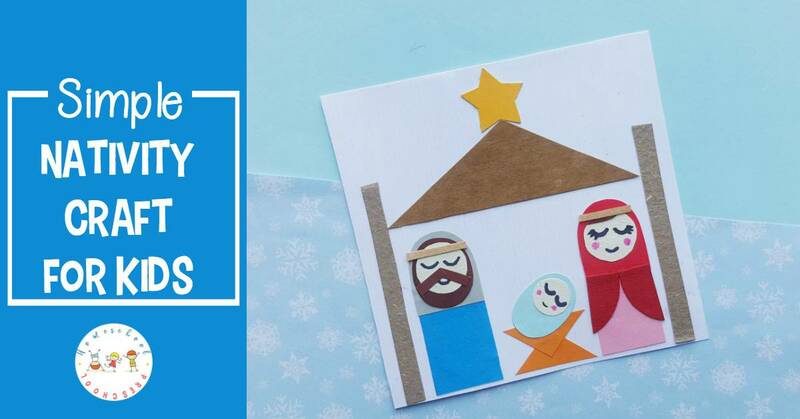 Select a sheet of white cardstock or craft paper as the canvas for this nativity craft for kids. Glue the roof (big triangle) at the top of the white paper. Glue the star at the peak of the triangle. The two large rectangles will be Mary and Joseph. Glue one rectangle under each of the bottom angles of the roof. Be sure to leave enough space between them to add Baby Jesus in a bit. Next, glue the arch shapes on the top of each rectangle. These will be Mary and Joseph’s heads. Glue a circle on the arch that is Mary’s head. Glue the oval to the the arch that is Joseph’s head. Then, glue on a circle for his face. Now, get the two triangles from the manger pattern. 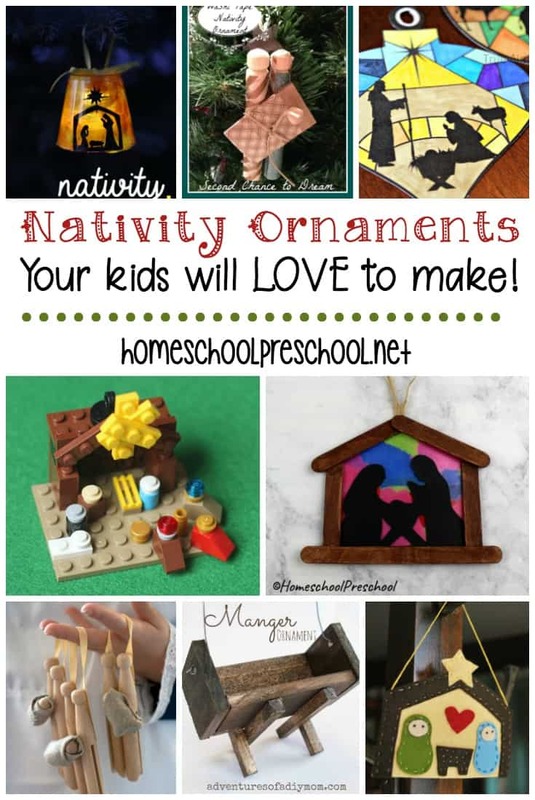 Glue them down between Mary and Joseph. Line up one straight edge with the bottom of the cardstock. 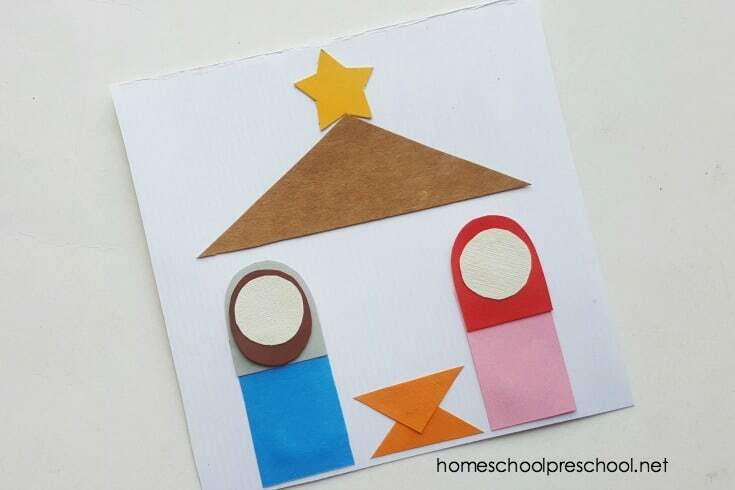 Glue the second triangle onto the point of the first one overlapping the points to create the manger. Assemble the Baby Jesus shapes and glue them onto the top of the manger. Use the black marker to draw faces on each of the three characters – Mary, Joseph, and Baby Jesus. Grab the semi-circular shapes from the template for Mary and the two small strips (headbands). Glue the headbands to the top of Mary and Joseph’s heads. Attach the last shapes to Mary to complete her clothing. Once the glue is dry, the craft is complete and ready to be put on display!